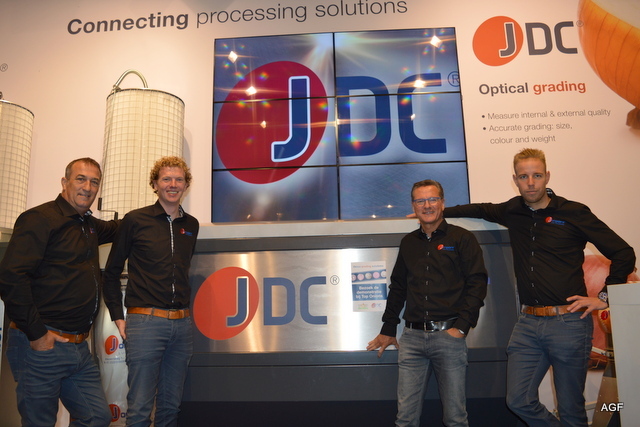 Jongejans Dust Collectors was present at Potato Europe in a booth combined with JDC. 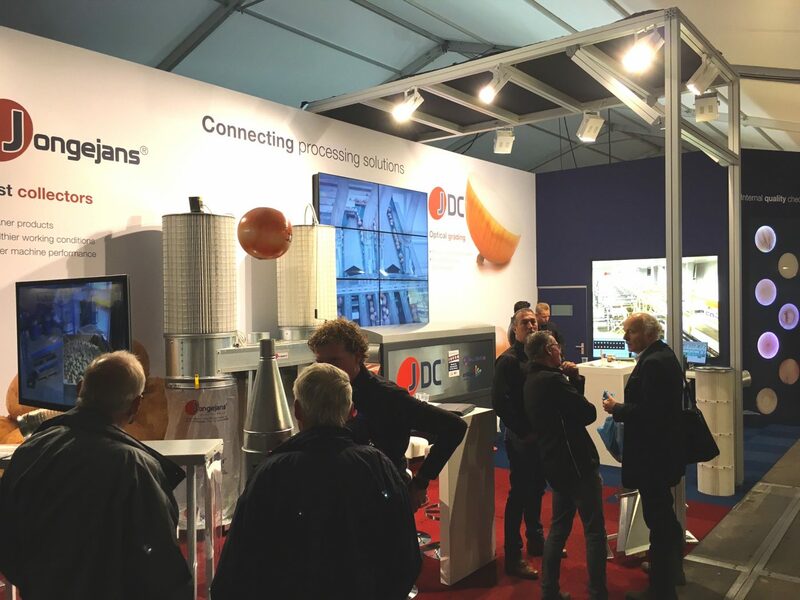 The synergy between optical grading developed by Elisam and the extraction systems offered by Jongejans Dust Collectors has revolutionized the onion sorting process; skin free onions thanks to extraction and a consistent internal and external quality because of optical grading. 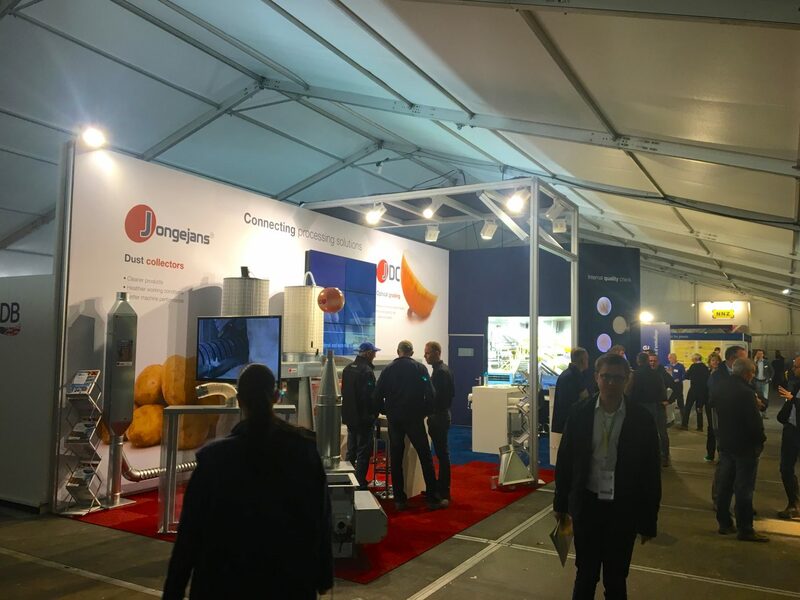 This integrated solution is supplied globally by JDC. Jesse Vonk and René Looijesteijn were present for Jongejans Dust Collectors. They can advise about- and have a solutions for any dust related problem.